It was the year 1987. I was in 1st standard. I studied in a school called Morton English Primary School. My classmates were busy memorizing dialogues to be recited the next day morning for the mimicry competition in school. Some were trying to imitate MGR. He was the chief minister of TamilNadu at that time and some were trying Rajinikanth's voice. My friend Senthil was practicing the dialogue "Mogambo Khush Hua", which apparently was a Hindi film dialogue from the movie Mr.India. None of us understood what it meant, but we all thought that Mogambo was farting (Khush= Fart in tamil). He was the official fart master of the class. So the dialogue best suited him. I did not know what I should do. That evening when I came home and told my mom that I need to participate in mimicry competition, she asked me whom I am going to mimic. I told her that I had no clue. That is when she said "Hey, You can talk like Donald Duck right?" She: Yes. Try that. But can you add some more voices too? She: You mean, all sounds including typing, type setting, carriage return lever? Me: Yes mom! I can do that. I have seen that on TV. She: Done. In that case try it out. The next morning, my mom made me wear a waist coat with a bow tie. I told her that I need to look older. So she took my dad's black shoe polish and drew a mustache on my face. I felt like a grown up man now. My classmates were amazing on the stage. They recited long dialogues and we all clapped in unison for them. Then my turn came. When I walked up to the stage, a new idea hit me. I took my position in front of the mic and said " I am Donald Duck. I am a typist and I am going to show you how I work happily while singing a song". Then the different sounds emerged from my vocal cords. The crowd liked it. 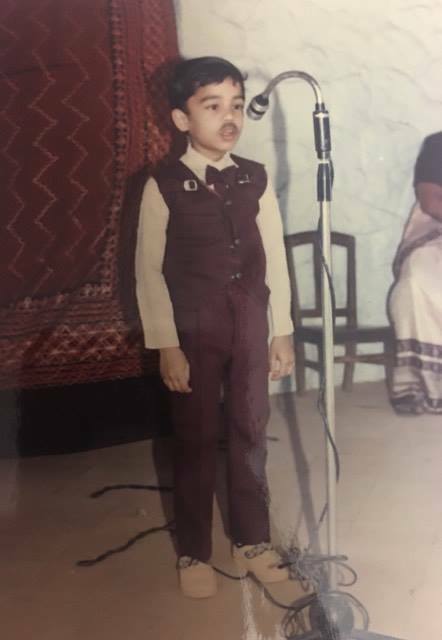 Later I was announced as the winner because I did an extempore talk before my act and also because it was different from the rest. Many years later, when I saw beat-boxers doing their act, I thought to myself, "Well, I did that when I was a kid. May be I should have practiced that art a little more". Starting young has driven away all stage fear in me and I owe it all to that little stage in Morton English School which acted as a platform for me to try different art forms very early in my life. And also because of a supportive mother who always brought the best out of me. 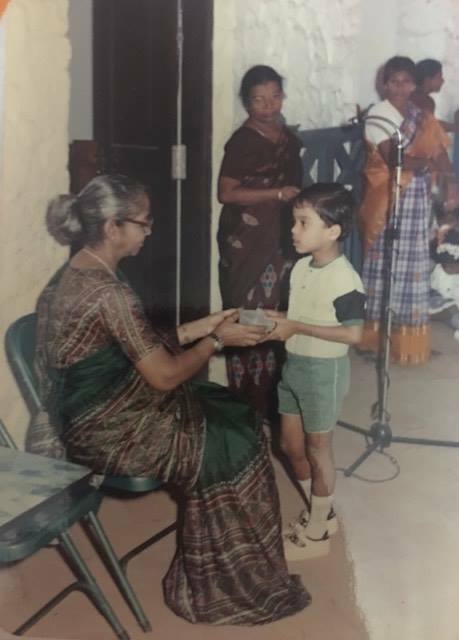 When parents were encouraging their kids to perform tried and tested stuffs, my mom always encouraged me to try and explore any creative idea that I wanted to showcase to the world. And to me! that made all the difference.